Note: Stripe-enabled direct credit card payments are available only to Pro and Pro Plus users. 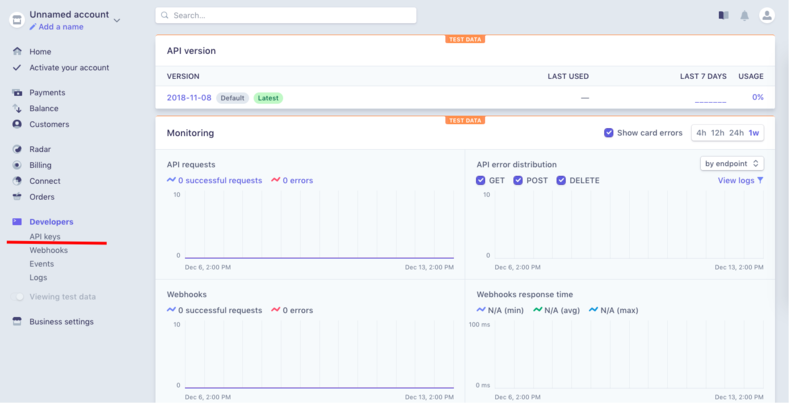 To enable credit card payments directly via Stripe, you first need to create an account on Stripe. 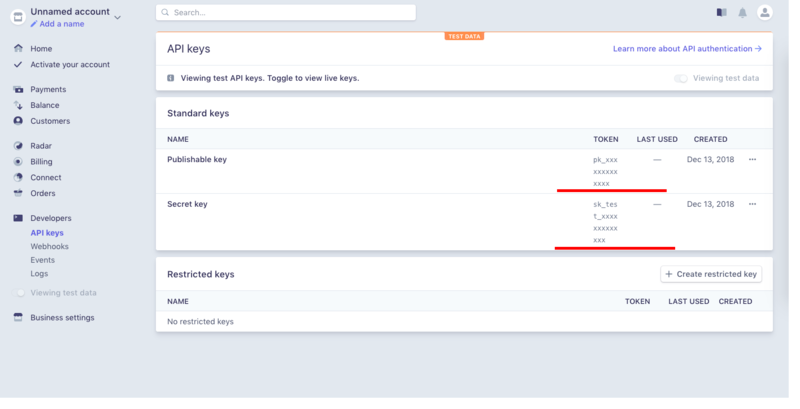 To integrate this payment method with your Sellfy account, you need to find the Stripe API keys and add them to your Sellfy account in the "Payment Options" section. 2. Copy the generated Live keys (Live Secret Key AND Live Publishable Key). 3. Open your Sellfy account and go to payment options. Then, paste the keys into the allocated fields in your Sellfy account under "Payment Options". Don't forget to click "Save settings" and enable the payment option at the top right corner. 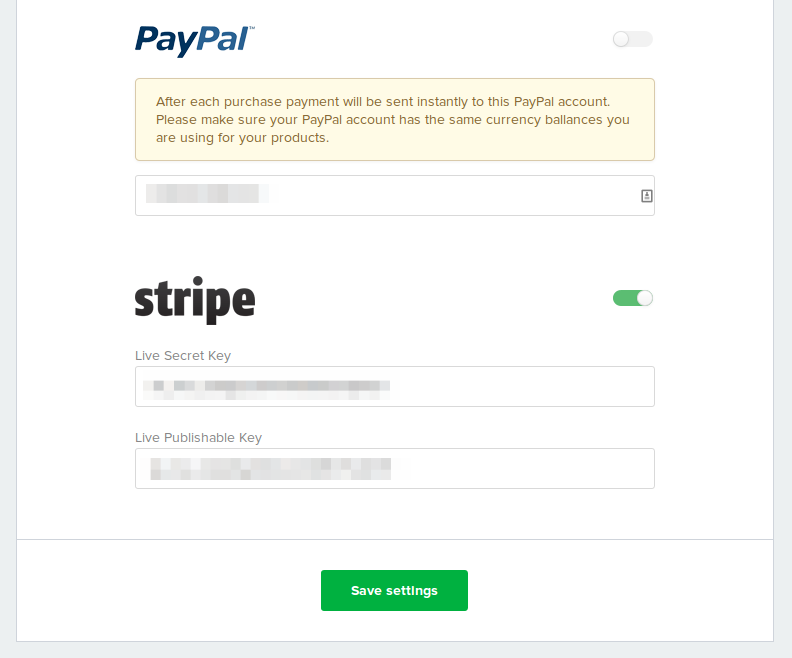 To collect payments for subscription products, follow the instructions in this article to set up your Stripe account for receiving this type of payment.